Supplies: Halloween Time-Cutting Cafe, Fiskars Scallop Punch, K&Co. 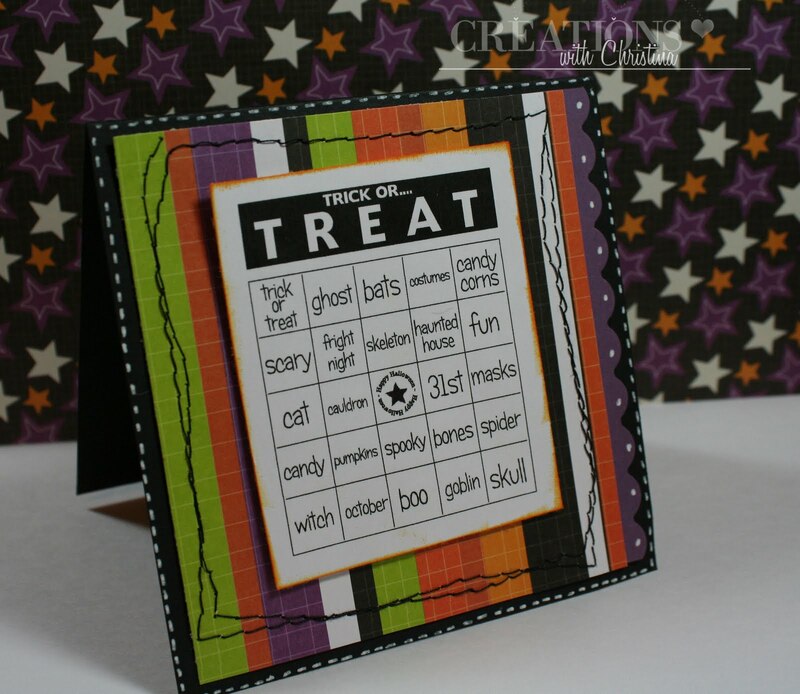 Spook-tacular paper, black Cardstock-Paper Trey Ink, Purple Cardsock (I forget the name) Stampin' Up!, Spiced marmalade Distress Ink, Signo White Gel Pen, ATG Gun, Miscellaneous sewing. very cute! I'm starting to get excited about Halloween!! Cute card, love those papers. Super cute card! I've never gotten any of the images from cutting cafe, but I think I may have to now. thanks! Cute card! I bought this set the other day just for the bingo cards! What an adorable card! Love it. That is so cute. Thanks for sharing it with us. great card. love the stitching - nice touch.